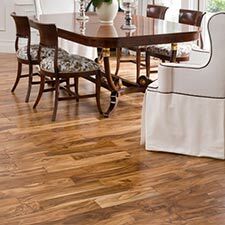 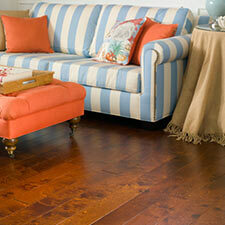 Bubba Distressed Hickory Wood Flooring is considered a character grade wood flooring collection. 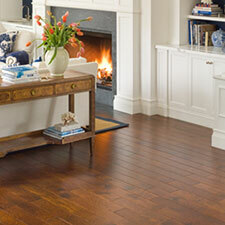 Distressed Hickory Bubba Wood Flooring is available in 6 color options to choose from. 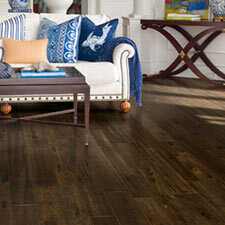 Each of these boards are wire brushed and chiseled by specially trained wood artisans. 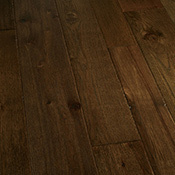 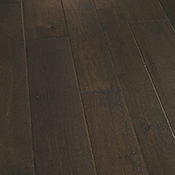 Bubba Distressed Hickory hardwood Flooring comes in random widths: either 4 in, 5 in, or 6 in planks. 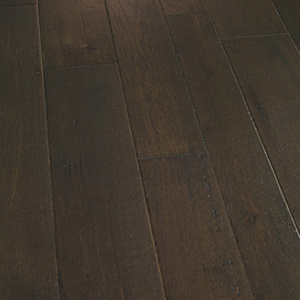 Bubba Distressed Hickory is made with natural beauty markings, like cracks and knots. 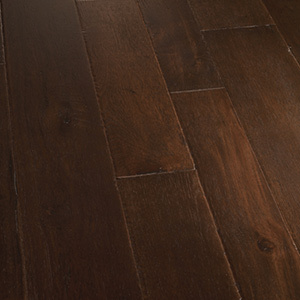 Bubba Distressed Hickory Wood Flooring features a very scratch resistant Valspar Aluminum Oxide Finish. 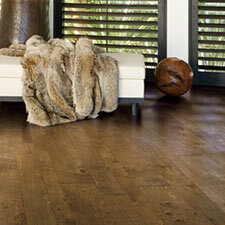 This Valspar Finish is designed to resist scratches, even in high traffic areas. 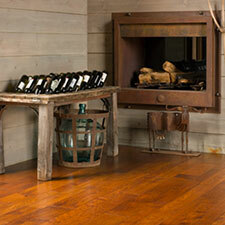 This wood finish contains no formaldehyde, ammonia, or heavy metals. This Valspar Aluminum Oxide Finish is designed to resist yellowing do to age. 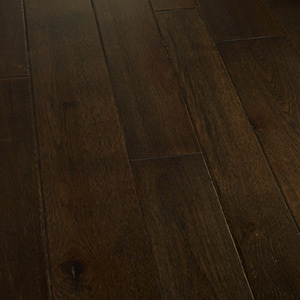 With Bubba's Valspar Finish, you no longer has to worry about the effects of sun bleaching because this finish has built in UV protection. 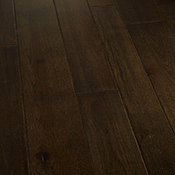 Valspar Aluminum Oxide Finish contains no HAPs and emits no VOCs. 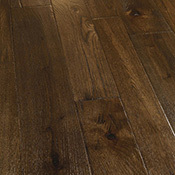 Bubba Distressed Hickory Hardwood Flooring is made using one of the most durable North American Woods. 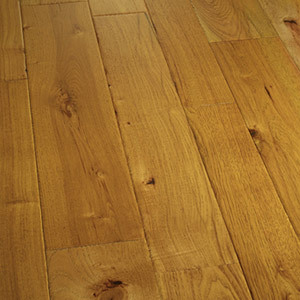 Hickory has a Janka Hardness Rating of 1820, so you can be sure it is made to last for many years.